​ Grooming Bags and Mitts. Our grooming bags from top supplier Horze are just what you need on a day out competing. Throw your Bespoke Bandages, car keys, towel, drinks, basically anything in your bag and get off to the ring for success and a great day out. Featuring carry handles and shoulder handles along with pockets galore our deluxe bags come in brown or navy and initials, names, logos and bling can be added to the pocket so you won't loose your bag in the crowd! 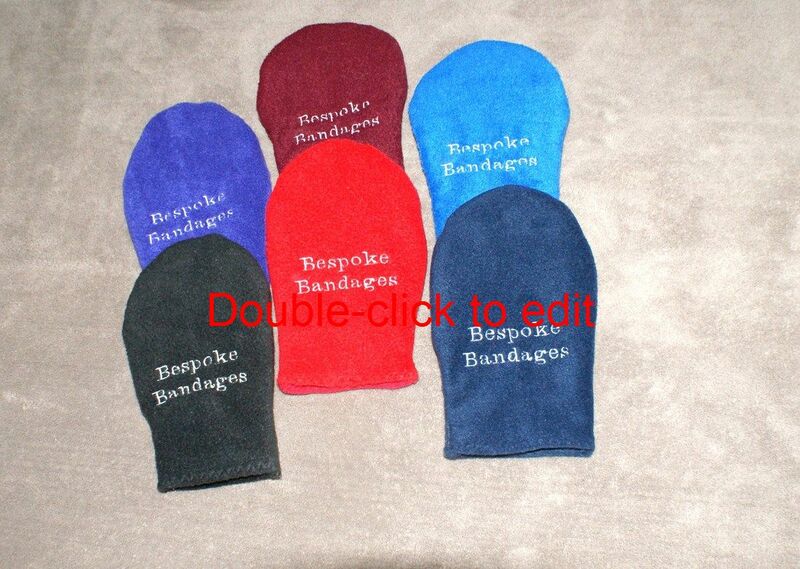 Grooming Mitts any colour or patterned Fleece and can be embroidered.